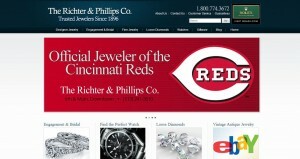 The Richter & Phillips Co address, phone, website, hours of operation, and more. 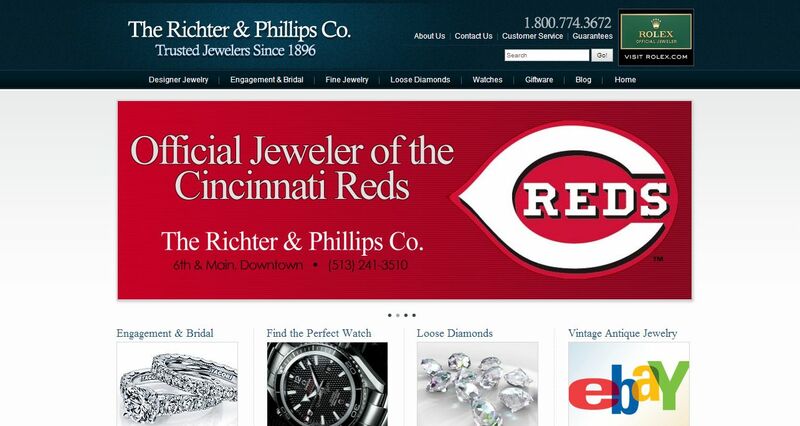 The Richter & Phillips Company: From Nationwide Mail Order Catalog to Family Owned Diamond and Jewelry Shop. In 1896, C. Edward Richter and three brothers named Phillips opened a store in downtown Cincinnati, Ohio. The store known as, The Richter & Phillips Company, offered many different items to their customers. At the top of the list was jewelry. Traveling salesmen traveled all over the country with large trunks full of jewelry, selling to other jewelry companies. The storeroom displayed jewelry, diamonds, and giftware. The Richter & Phillips Company also offered their customers catalog shopping. Items available in the nationwide mail order catalogs included jewelry, giftware, luggage, purses, trophies, plaques, clocks, electrical appliances, sporting goods, musical instruments, dolls and toys. Mr. Richter and the Phillips brothers worked hard to keep the company going over the next forty years. The downtown store thrived as did the catalogs and traveling salesmen. In 1930, however, suffering from the Great Depression, The Richter & Phillips Company was forced to file bankruptcy. Frederick W. Fehr, a traveling diamond salesman working for a different company took his loose diamonds to the 2nd National bank. There, they loaned him the money needed to buy the store and keep it open. Over the next few years Mr. Fehr bought out all remaining stockholders, thus; making The Richter & Phillips Company a family owned business. Mr. Fehr and his right hand man, Lawrence Fledderman, continued running The Richter & Phillips Company in the same capacity through World War II. Located in the Temple Bar Building at the corners of Court and Main Streets, Mr. Fehr handled all diamond and jewelry deals while Mr. Fledderman took care of everything else. The Richter & Phillips Company continued business as usual until the early 1970’s when Fred Fehr, Jr., decided to branch out. Under a different copyright, Richter & Phillips Jeweler and Distributors, Mr. Fehr, Jr., opened two new stores. One in Florence, Kentucky and the other in Delhi (a suburb of Cincinnati). With much more space available than the downtown location, these two stores displayed all of the items found in the catalogs. Unfortunately, these two stores weren’t quite as successful as the original one. Both were sold in the late 70’s and eventually went out of business in the early 80’s. Meanwhile, The Richter & Phillips Company (downtown) was being pushed out of its location in the Temple Bar Building at Court and Main by Hamilton County. It was then that the company made its final move to its current location of Sixth and Main Street.